An investigation is under way after an al-Qaeda plotter who planned to kill thousands of people in "dirty bombings" was badly injured in a prison attack. 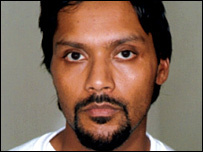 Dhiren Barot, 35, from Kingsbury in north-west London, had been serving life at HMP Frankland near Durham. He spent five days in Newcastle's Royal Victoria Infirmary after the assault. The attack is now subject to an investigation by Durham Police and HM Prison Service. Northumbria Police are not releasing details of his injuries, but they are believed to be scalds. 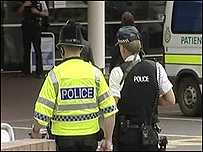 A security operation at the hospital involved armed police and the air support unit. A police spokeswoman said the news blackout was aimed at protecting the safety of patients, hospital staff, prison staff and members of the public. The Muslim Council of Britain has called for a thorough investigation of all attacks on inmates. Inayat Bunglawala, from the council, said: "There have been other incidents in the past as well, where prisoners have been attacked by their own fellow cell mates. "It's vital that they [the prison authorities] investigate the attack... to ensure that prisoners, whatever they've been convicted of, are given basic safety and are allowed to pass their sentences in at least some dignity." At his trial at Woolwich Crown Court Barot was described as a determined terrorist who prepared meticulous plans for al-Qaeda figures on a series of attacks in the US and the UK. In the UK these included exploding gas tankers hidden in limousines, flooding the tube network and a radioactive "dirty bomb". He was jailed for life, with a recommendation that he serve a minimum of 40 years, but this was reduced to 30 years following an appeal.